People often wonder what difference church can make in their lives. We invite you to connect with us and transform your life in so many ways. It isn’t simply the chance to fellowship, make new friends, engage with groups of people in fun and enjoyable events. It isn’t just a great way to raise kids with important values so that they become good people and Lord knows, parents can use a little help! It isn’t just a way to participate in missions that let you know you are making an impact in the world. It isn’t only a place where people will pray for you. It is all of that. And it is a place that feels like home—a place where the love of Christ is central and where people are doing the best they can to be like Jesus. We journey together. We welcome everyone. We have different opinions about stuff and we come from a lot of different backgrounds and places. We care about each other, about our community, and the world. Join us and walk closer with Christ! 5:30 pm - An evening worship service which is casual and relaxed with communion every week. This coffeehouse style worship is held in the Welcome Center. 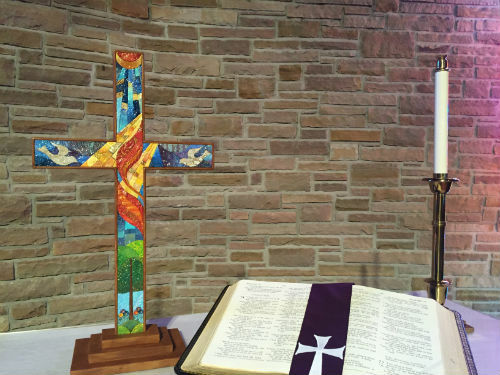 9:00 am - The early worship service is an informal worship time that features contemporary music, our band, message, prayer and a time of reflection. 10:15 am - Our second service includes a children’s message, our choirs (adult, youth, children's and/or hand bell), message and prayer. * Child care is available for infants and toddlers at all services. Sunday School for pre-K through high school is offered at our 10:15 am service. We are people from all walks of life on a journey to be like Jesus. We realize that means our priority is to be Mission-Focused. Here at Fallston Church, we are always engaged with people outside our four walls—from our local communities, to Appalachia, Puerto Rico, and around the world. From adopting families at Thanksgiving and Christmas, to adopting a family and their new apartment in our area, to responding immediately to disasters like tornadoes in the Midwest or hurricanes on the islands, we invite the community to join us in making an impact in the world. We are Spirit-Empowered and Christ-Centered. Whether you are a lifelong Christian or someone who isn’t sure how Christ can be active in your life, this is the place for you. We have countless stories to tell of how the Spirit has made a difference in the lives of folks in our congregation and those we serve. We feel prayer empowers our work, and our work blesses others. Lives are changed, people are carried when they cannot walk, and supported and blessed as together we celebrate the victories and struggle together through the difficult days. You will find a friend here. If you want to make a significant impact on the lives of others as well as be blessed, we are the place for you. Come and learn more about how your life can transform someone else’s life. If you are in need of prayer today, you have come to the right place. We can put you on our prayer list or put you in touch with a Stephen’s Minister or Pastor Karin. Please email Prayers. Our vision is to Be Like Jesus. As we worship together, study together, and play together, how we do so reflects Jesus in who we are and how we are. 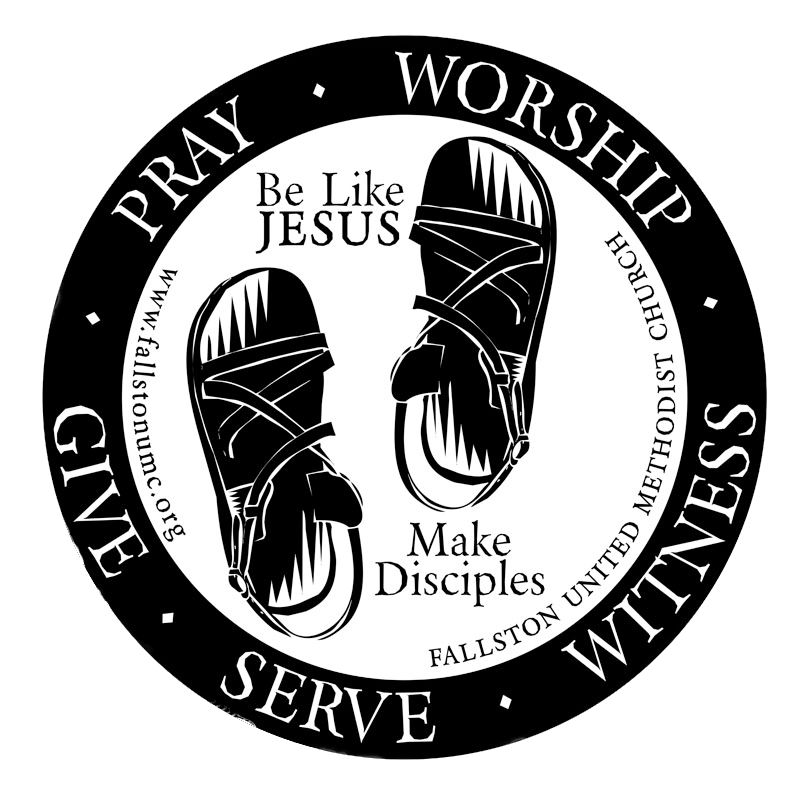 Our mission is to Make Disciples for Jesus Christ. This is the main thing and it is imperative that we always keep it as the main thing in all that we do. We want members, guests, and strangers to feel compelled to seek out Christ as their Lord and Savior by the relationships they build with us as individuals and as a congregation. Together we commit to Pray, Worship, Witness, Serve, and Give. The e-Enlightener is our weekly news digest of all the happenings in and around our church. Sign up here so you receive an e-mail each Wednesday with all the great things going on at our church. Support the work of our church through Electronic Giving. Make a one-time donation or have your weekly or monthly contribution debited from your checking or savings account and transferred directly into the church account safely and electronically—you’ll never have to remember your checkbook again! We would love for you to get started! Have any questions? Give us a call 410-877-7255.